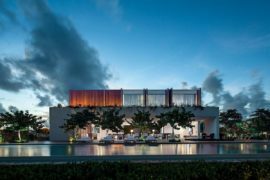 If vertical condominiums steal the show in big cities, it is a relaxing and gorgeous ‘horizontal condominium’ that gives you a whole new perspective on life at the fabulous Five Houses. 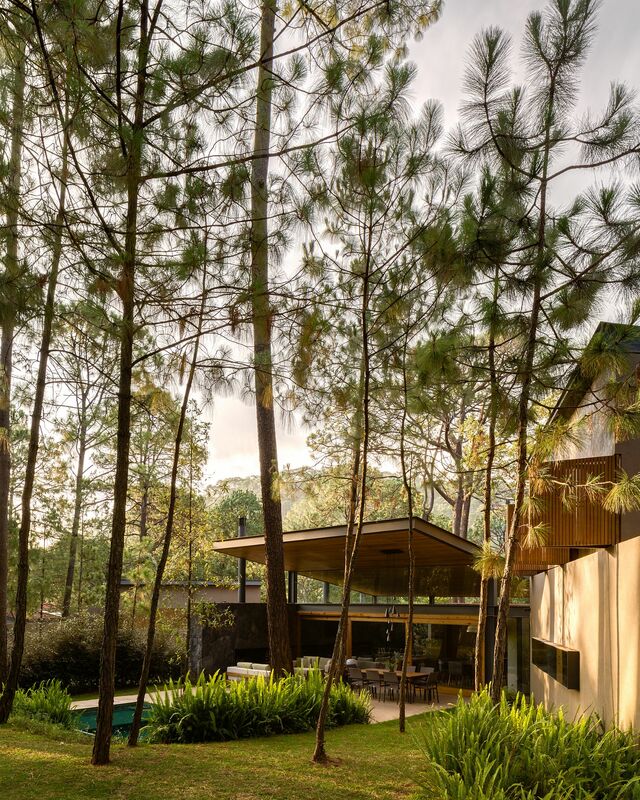 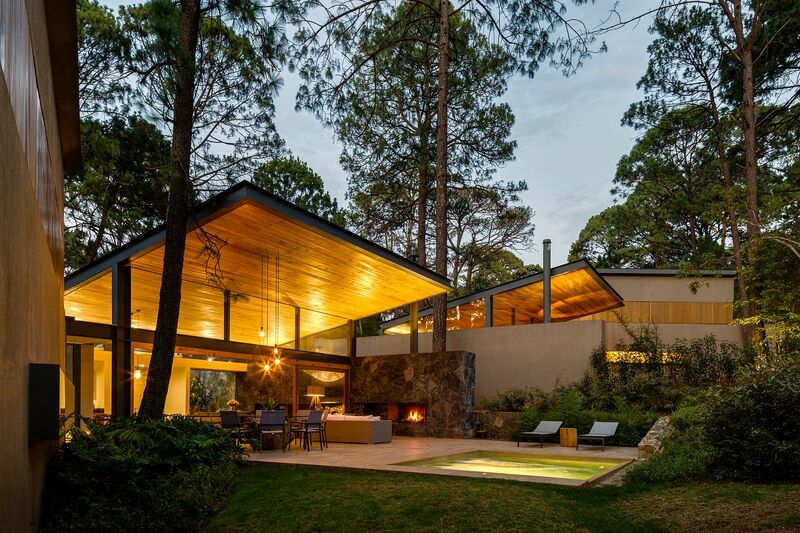 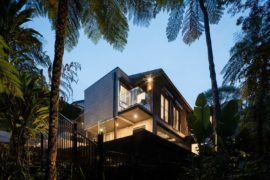 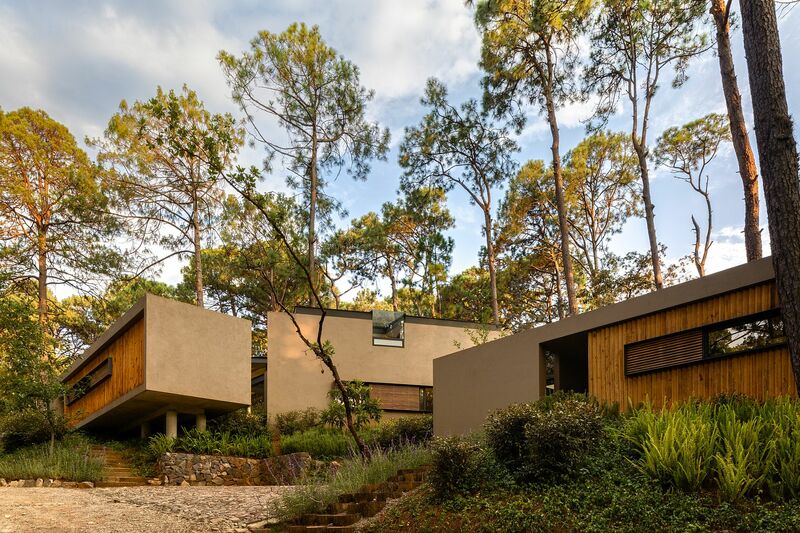 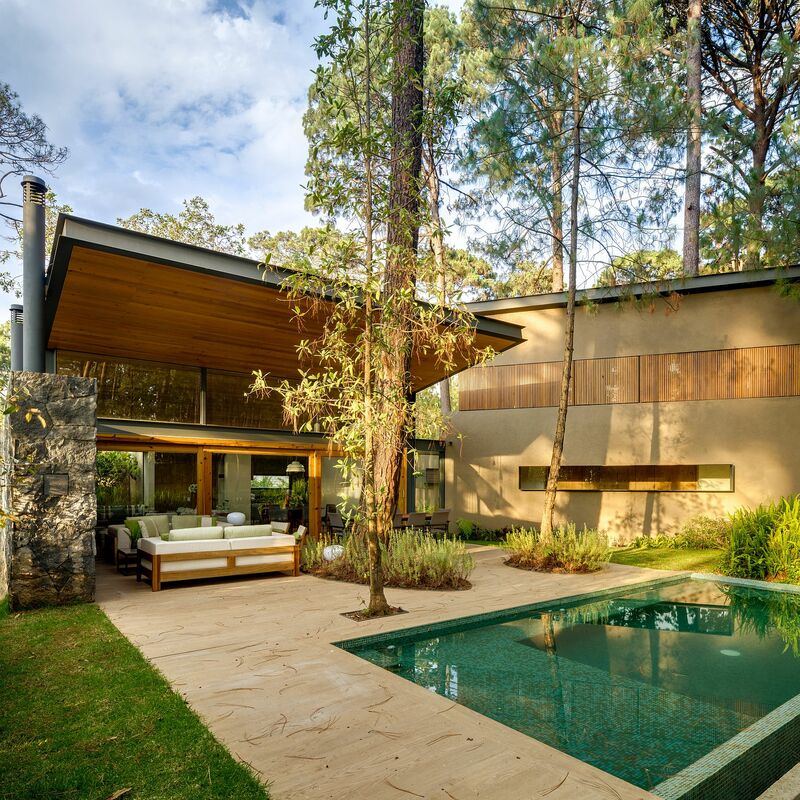 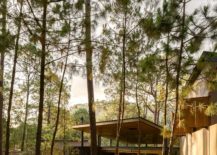 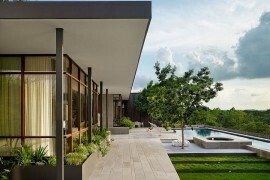 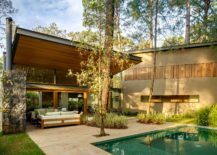 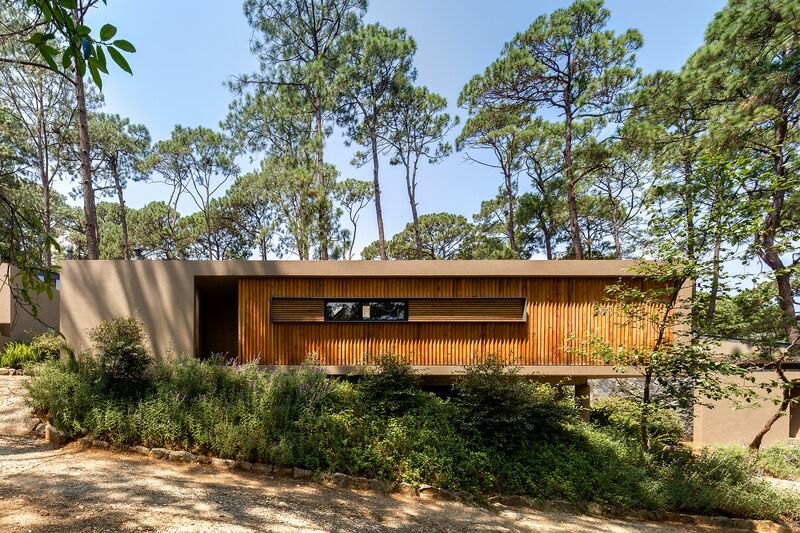 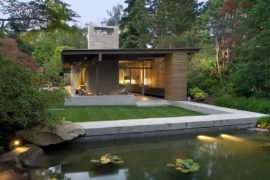 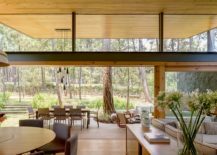 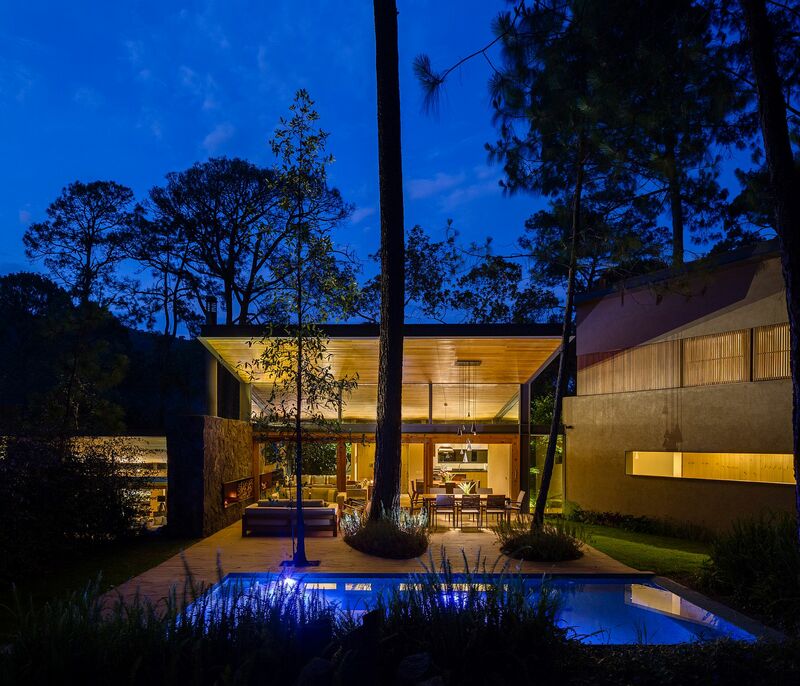 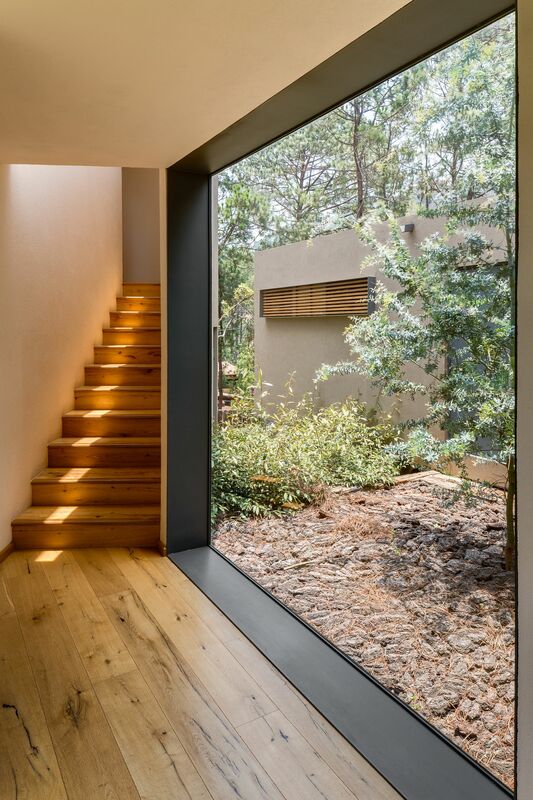 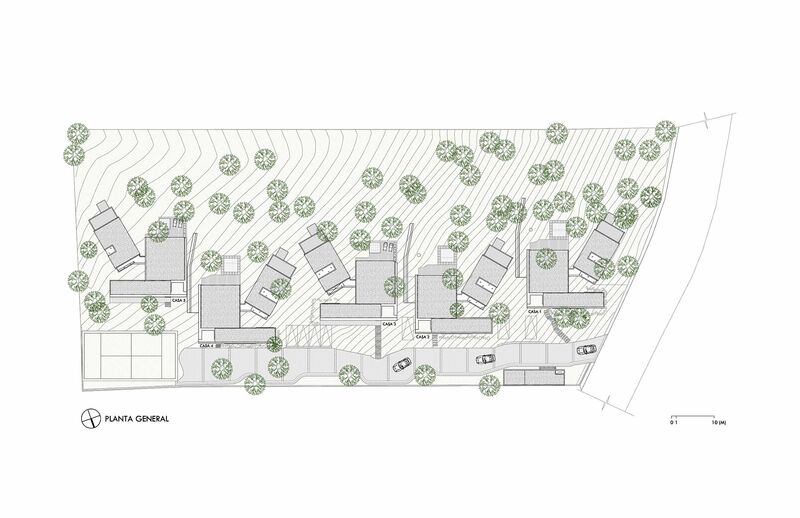 A series of five individual houses that are draped in a cloak of natural pines and ample greenery, the gorgeous homes designed by Weber Arquitectos ensure that you are never too far away from nature’s goodness! 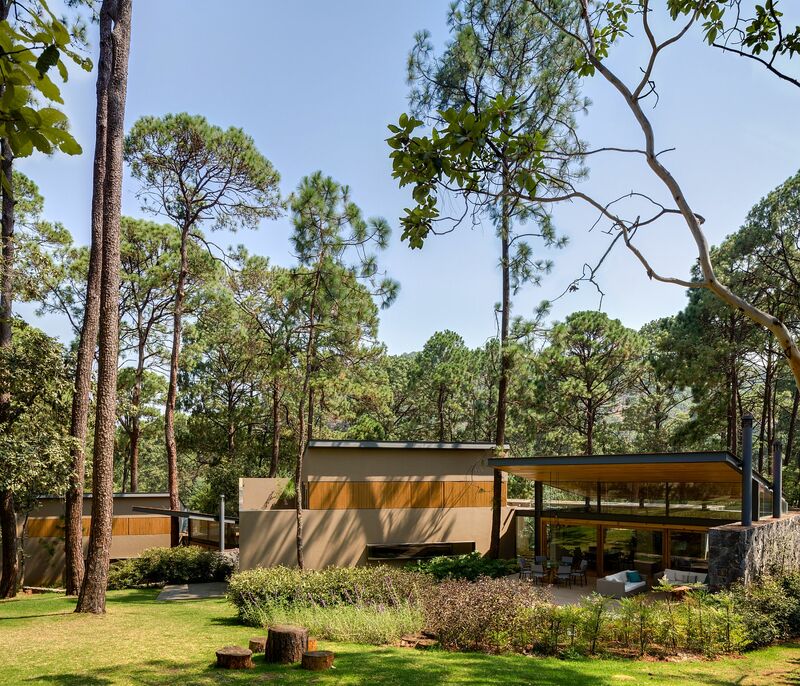 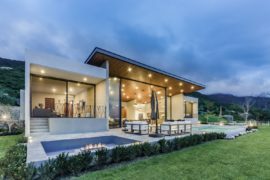 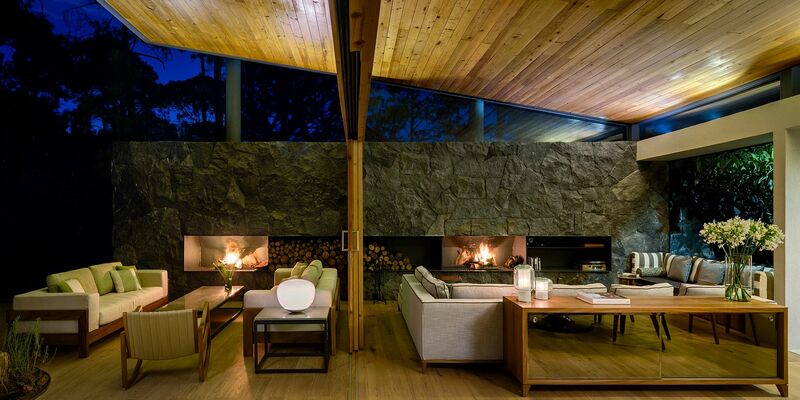 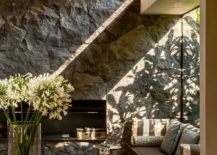 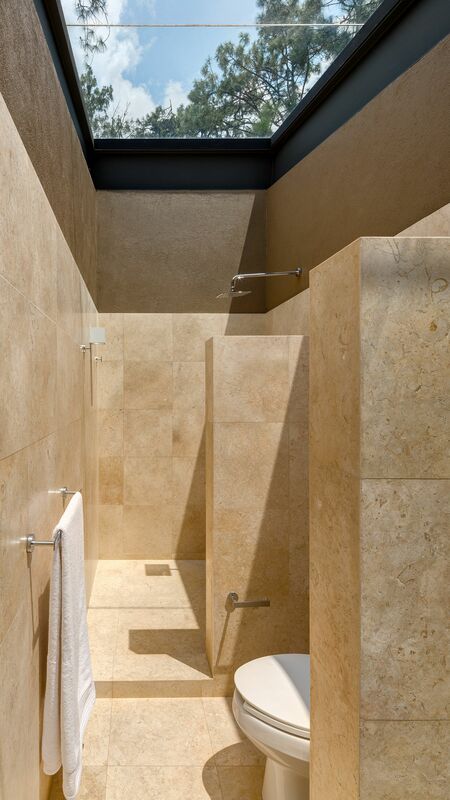 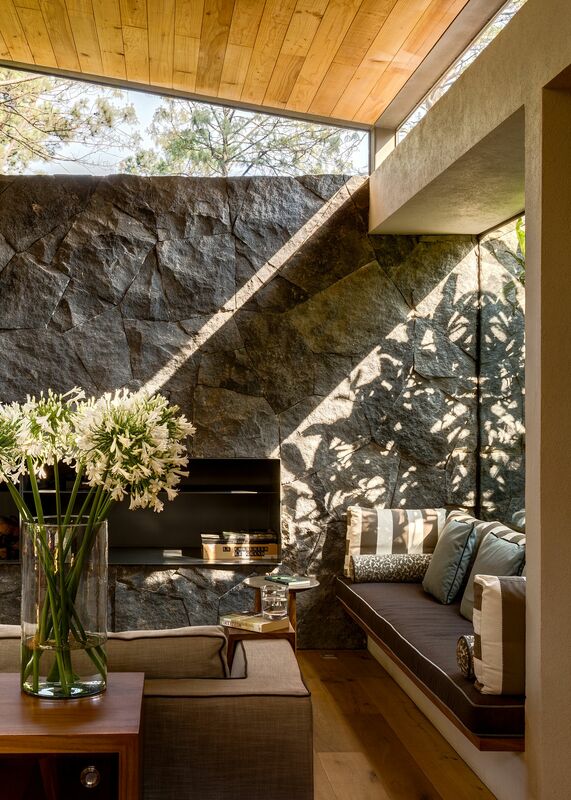 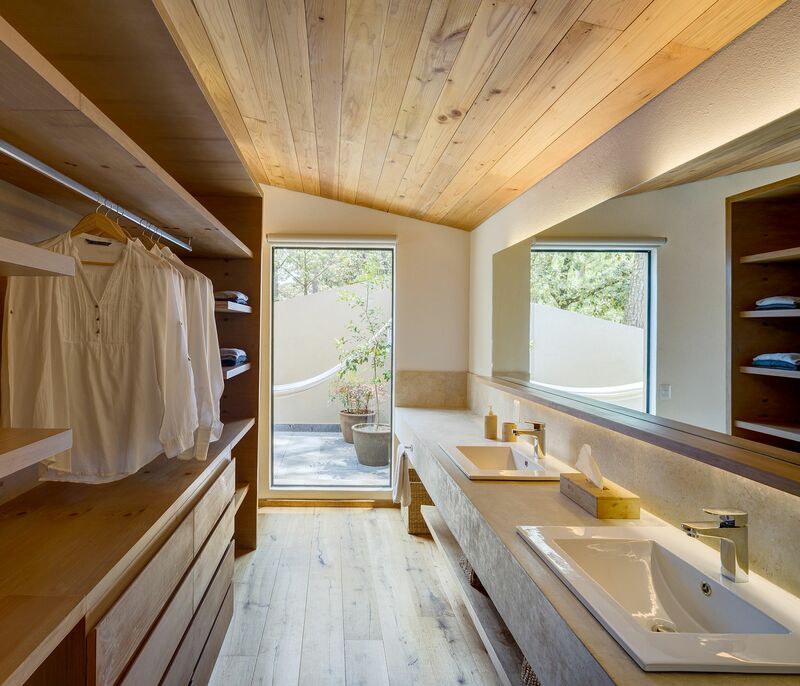 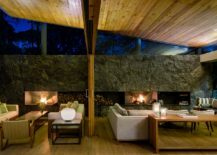 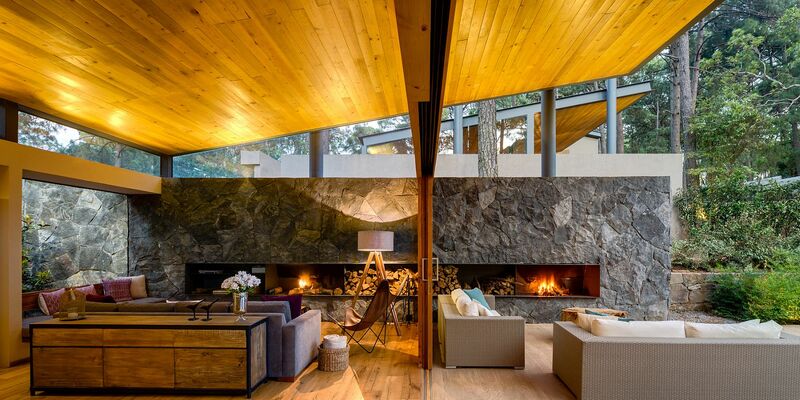 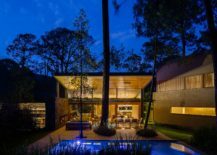 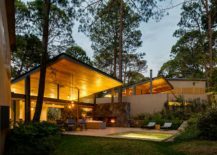 Situated in a forested strip of land near Avandaro, Valle de Bravo, Mexico, each of these houses combines modern comfort and aesthetics with a smart indoor-outdoor interplay to usher in the best of both worlds. 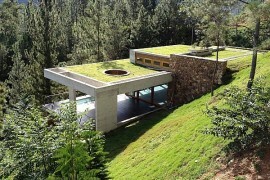 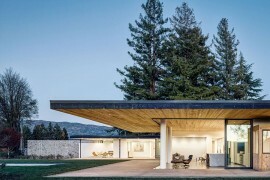 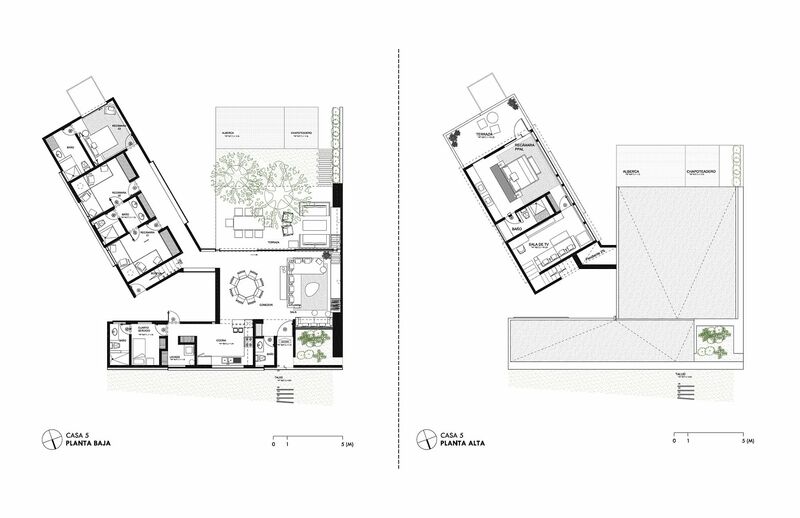 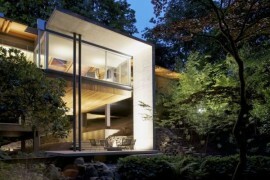 In addition to these three volumes, there are two interior courtyards whose function is to link the spaces. 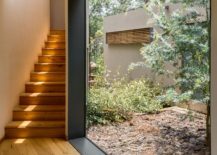 One is located to one side of the main entrance, overlooking the living room, and the other is a visual end to the bedroom hallway.